District nurses are a team of highly skilled nurses; we carry out a wide variety of services, and provide a community based service for patients with a physical healthcare need. 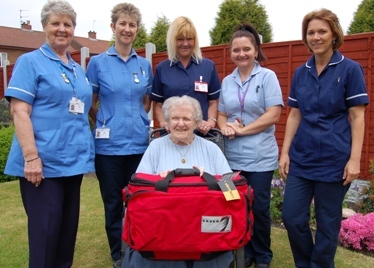 The service includes visits to housebound patients who need nursing treatment. Depending on our patients’ needs, we make referrals to other agencies for additional treatment where required or appropriate. Our community nurse managers are Tina Jackson and Louise Johnson. We also provide an Out of Hours District Nursing Service and a Community Practice Teachers Team. District nurses also provide leg ulcer care for patients in health centres and clinics across Sandwell. If you need to see another healthcare professional, your district nurse can refer you.